The Forest of Dreams pop-up was right by the “Good Morning America” set in Times Square. Credit: Emily Barber. I’VE ALWAYS BEEN DRAWN to cities — the busy streets, bright colors, endless restaurants and general chaos all fascinate me. But while I love city life and all the excitement that goes along with it, nature is my solace. The city energizes me, but nature calms me. The extrovert in me thrives in cities, but my introverted side is replenished by a walk in the woods. These two sides might seem contradictory, but they found the perfect middle ground when I traveled to New York City to help American Forests and LightStream host a pop-up forest in the middle of Times Square. 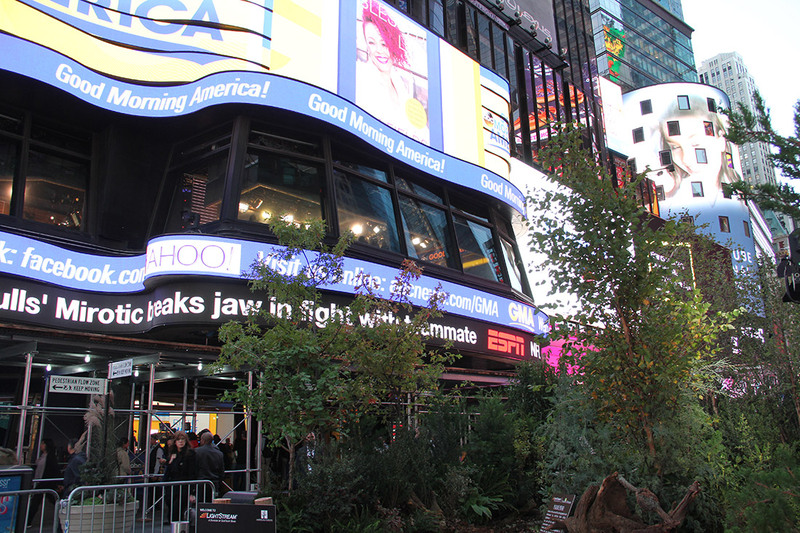 alike, a grove of real trees and shrubs stood in the plaza outside the “Good Morning America” studio. City birds flitted in and out of the leaves, relishing their makeshift homes for a day. appeared on a Times Square billboard, complete with a forest backdrop. LightStream, an online lender, plants a tree for each loan they fund. The Forest of Dreams was a representation of each tree and its corresponding dream made possible through LightStream. 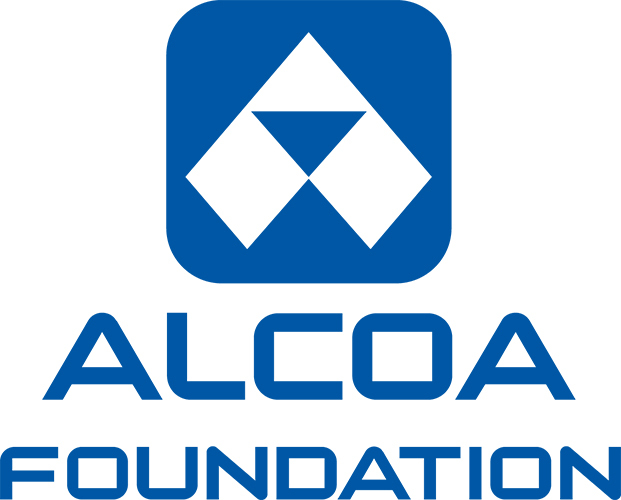 The forest celebrated the 1,000 acres of trees planted through our partnership and built momentum for LightStream’s commitment to planting an additional 500 acres this year. Each visitor had a unique reaction. Early in the day, commuter pedestrians slowed down to admire this strange sight. Some were hesitant to come in, but many entered with a coffee in hand and a smile on their face, commenting on how nice it was to have a change in scenery. Later on, tourists made the Forest of Dreams a stop in their sightseeing itineraries. We met visitors from all over the world — from nearby Connecticut all the way to West Africa. Like the rush-hour crowd, some were unsure why we put a forest in Times Square, but once they heard about the cause, they were delighted at the dedication that both American Forests and LightStream have to the environment. We were asked countless times if the forest was permanent or if we’d be taking it anywhere else. I didn’t want anyone to be disappointed that the forest wasn’t permanent, but hopefully this small reminder of life outside the concrete jungle encouraged them to get back to nature. I was excited to be in New York for my first trip with American Forests, but the real reward was seeing how many people share our passion for protecting and restoring our forests. We shared forest facts with LightStream, which produced signs along the walkways in the Forest of Dreams. One stated that trees in NYC provide $5.60 in benefits for every dollar spent on tree planting and care, including cleaning air and water, reducing energy costs and improving mental well-being. The Forest of Dreams was a great reminder that in order for cities to be the bustling, lively hubs that we expect, we first have to make sure that our forests are clean, healthy and flourishing. Without forests, we don’t have cities either… and I’m not ready to move to Mars.